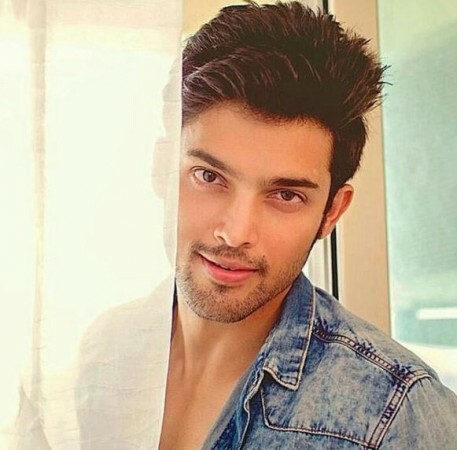 Apparently, Parth Samthaan of Kasautii Zindagii Kay 2 was paid a whopping amount to shoot for the show, thereby making him the highest paid celebrity on the show. Parth Samthaan has emerged as one of the most popular celebrities of Indian television in recent times. While the actor enjoys a massive fan following, his fanbase multiplied two-fold after portraying the role of Anurag Basu in Ekta Kapoor's popular show Kasautii Zindagii Kay 2. The actor's chemistry with co-star Erica Fernandes is also another factor for the show garnering a lot of eyeballs. Recently, the hunk made an appearance on another show Kitchen Champions along with Bigg Boss contestant Sana Khan. The episode aired on Colors TV channel on Tuesday, April 16. Interestingly, Parth was paid a whopping amount to shoot for Kitchen Champion, making him the highest paid celebrity contestant to appear on the show, reported the Times of India. Besides his crazy fan following, it is being said that one of the primary reasons for the fat pay cheque is apparently because Parth's show airs on a rival channel and hence has been paid a huge amount to be on the show. Meanwhile, Parth has been in news over his kissing scene with Pooja Banerjee on a show. Parth and Pooja, who play siblings – Anurag and Nivedita – on Kasautii Zindagii Kay 2, shared a liplock in Ekta Kapoor's web series Kehne Ko Humsafar Hain 2. In the web series, Kehne Ko Humsafar Hain 2 that stars Mona Singh, Ronit Roy and Gurdeep Kohli, Parth and Pooja play the roles of Faizal and Bani, respectively. As soon as the video was uploaded online, netizens were left angered as they found the on-screen brother-sister duo kissing in another show extremely odd. Some also condemned the makers and the actors too for including a kissing scene between the actors who play siblings in Ekta's other family drama. Pooja, however, through an interview justified her action saying that she and Parth are not real life siblings and are just professional actors doing their job.